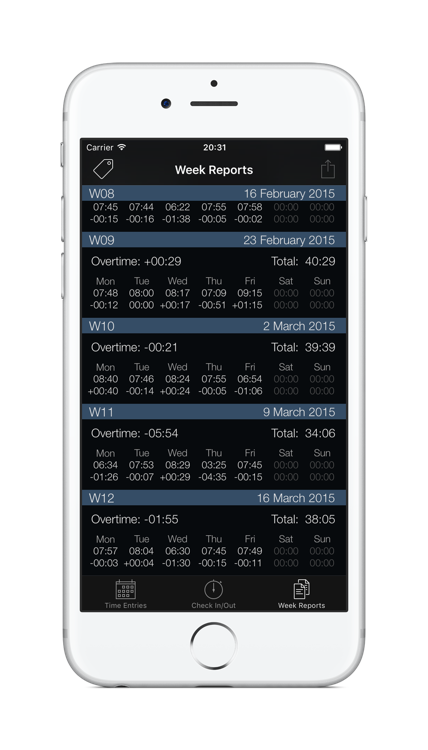 Week Timer – Page 3 – Time reporting made simple. Check In, Check Out, Select & Send... It's that simple. 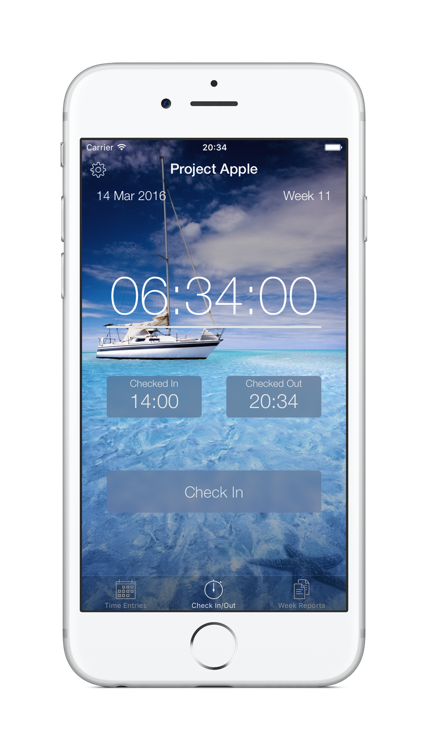 Simply check In when you arrive, check out when you leave and track your times on a daily basis. At the end of the week select one or more week reports and email them to your work so you can update your timesheet in an efficient manner using either the text (HTML) or spreadsheet (CSV) format. 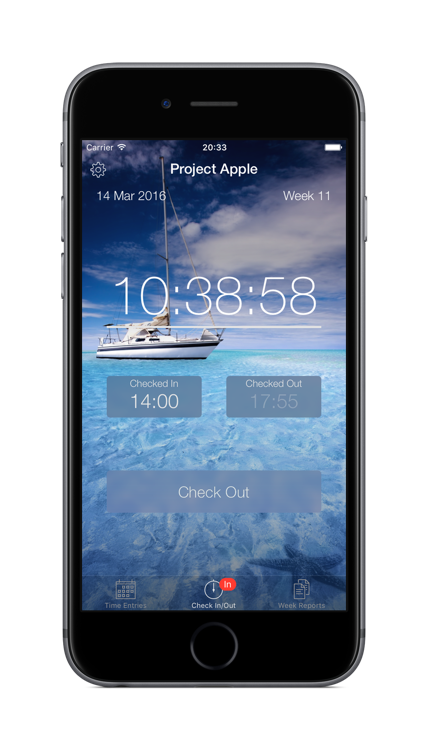 Optionally use tags and notes to track your time by task or project, so you don’t loose track of when you did what for whom. 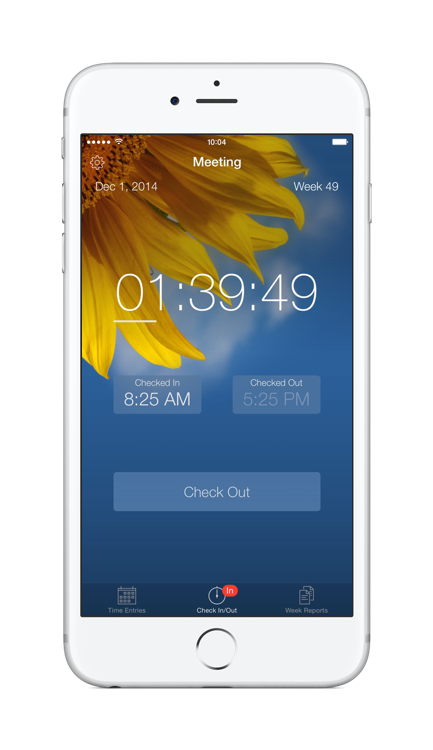 Week Timer makes time tracking as easy as possible. 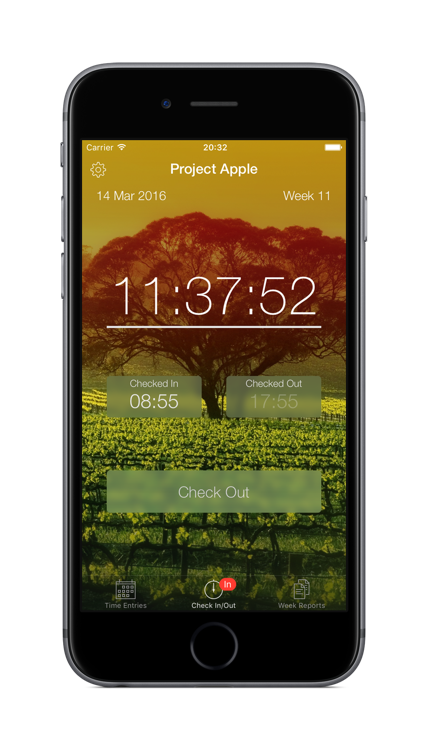 Just tap on the check in button to start recording your time. All your time entries are available at the tip of your fingers. Edit any details you like, or insert additional breaks if desired. 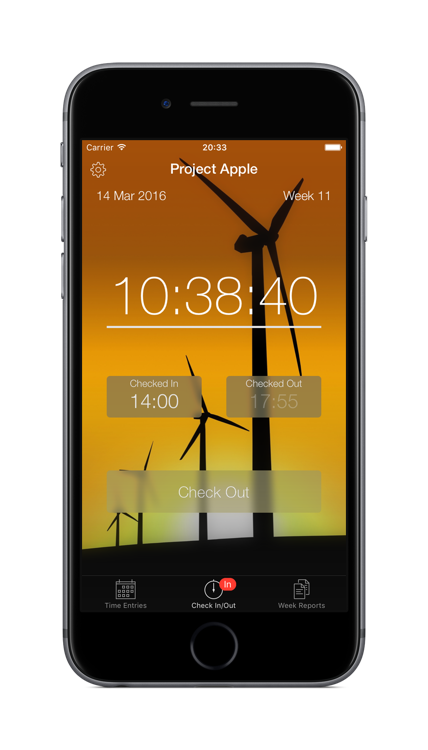 Quickly check your weekly status with the report view, and send the reports when desired. Can you go home early today? Reporting may not be the happiest part of your life, but you can still style it to your liking with your own photos or the included backgrounds. Check in a little too late? 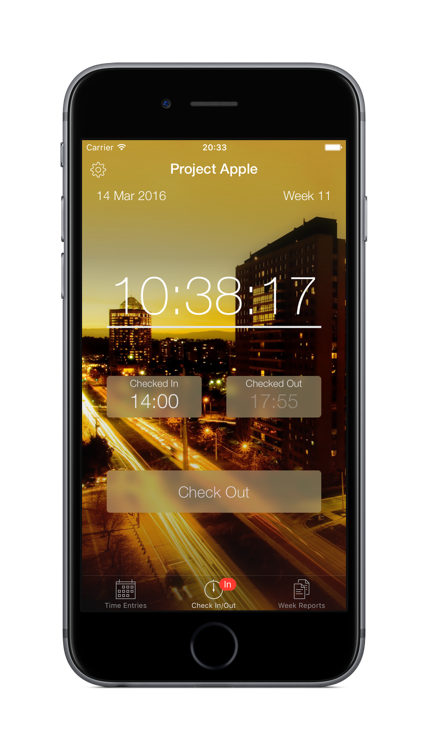 Just slide your finger up or down to adjust your check in or check out time. Sometimes you want to tag your time for different activities. 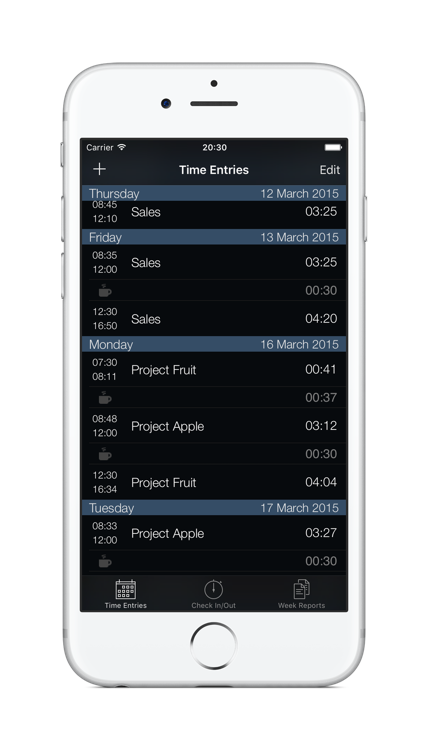 Tags help you keep track of where you put your time. Of course you shouldn’t need the documentation for your daily use, but it can be convenient to be able to check the nitty gritty details now and then. Is accurate and clear, easy to use. Works accurately, is well organized. I use the app every day. Super service by the developer….. 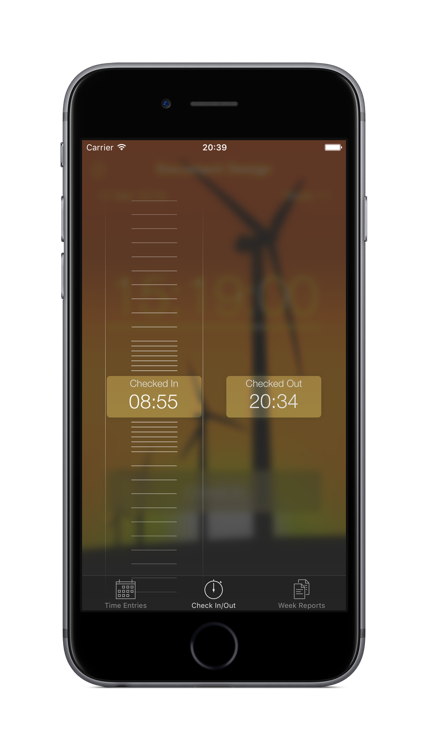 Does exactly what it is supposed to….